In the film, a young American woman, Sara (Natalie Dormer), journeys to the Aokigahara Forest in search of her twin sister, who has mysteriously disappeared. 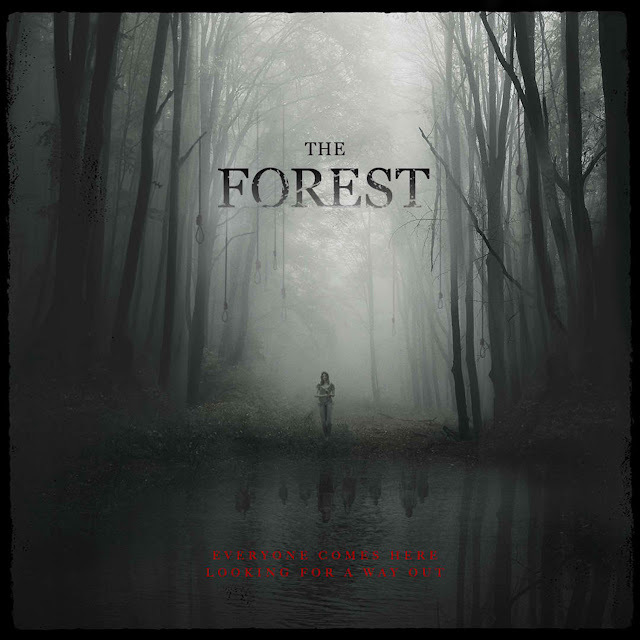 In the company of expatriate Aiden (Taylor Kinney), Sara enters the forest having been well warned to “stay on the path.” Determined to discover the truth about her sister’s fate, Sara will have to face the angry and tormented souls of the dead that prey on anyone who dares come near them. These malevolent spirits lying in wait for Sara at every turn will plunge her into a frightening darkness from which she must fight to save herself. Aokigahara is a forest that lies at the base of Mount Fuji, less than 100 miles west of Tokyo. Locally, it is also known under the name of Jukai ("Sea of Trees") because of its very high density of trees. Its quietness has attracted people to consider it haunted, and there are plenty of Japanese who would not dare to enter the forest. This resulted in even more myths surrounding Aokigahara. But even if you are not attracted to ghost stories, the truth is, the place has a special feeling to it. When you enter it, there are signs in both Japanese and English preventing people against suicide. One sign at the entrance reads: "Your life is something precious that was given to you by your parents" while another one states "Meditate on your parents, siblings and your children once more. Do not be troubled alone." The exact number of suicides committed here in a year is unknown as the police discontinued publishing this data. The last time it was made public was in 2003, when 105 confirmed suicides took place. However, it is believed that annually more people die here, but their corpses are never found in the thick forest. It is hard to make a profile of the average person who commits suicide in the forest, but they are usually males between 40 and 50 years, and the biggest month for suicides is March, possibly because March is the end of the fiscal year in Japan. So many people come from all over Japan to end their stressful lives here as they feel it's is the perfect location in which to breathe their last. It is baffling why there is such a high rate in the country but it has something to do with the Japanese psyche and that many Japanese men feel rejected when retrenched. Some of them had held important positions in their respective companies, including that of chief executive officers. Unable to face their families and loved ones, they perhaps, in the manner of the samurai warriors of the past, felt that suicide is one way to atone for their failures. The Aokigahara has not always attracted hundreds of people wishing to end their lives. While there is some evidence that suggests that as far as the 19th century, it was a place where Japanese carried their elders to die of starvation (a practice called ubasute), it became popular after the 1960’s when a novel by famed author Seichō Matsumoto was published. In this novel called "Tower of Waves", a couple commit suicide in the Aokigahara forest. Another book from 1993, “The Complete Manual of Suicide” by Wataru Tsurumi added to the fuel and increased suicide rates. The author described the Aokigahara as the perfect place to commit suicide and even described which parts of the forests are less circulated so the bodies cannot be found later on.